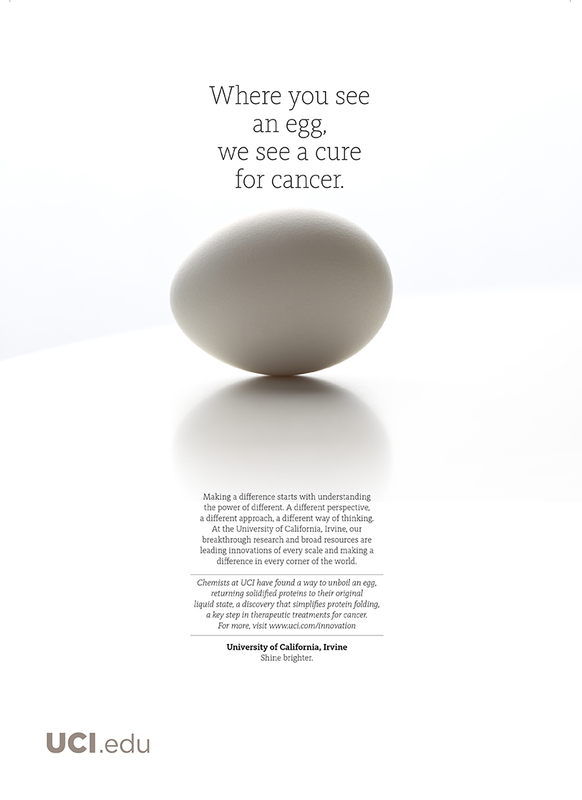 Where you see an egg, we see a cure for cancer. Making a difference starts with understanding the power of different. A different perspective, a different approach, a different way of thinking. At the University of California, Irvine, our breakthrough research and broad resources are leading innovations of every scale and making a difference in every corner of the world. Chemists at UCI have found a way to unboil an egg, returning solidified proteins to their original liquid state, a discovery that simplifies protein folding, a key step in therapeutic treatments for cancer. University of California, Irvine. Shine brighter. Video: Why Unboil an Egg?